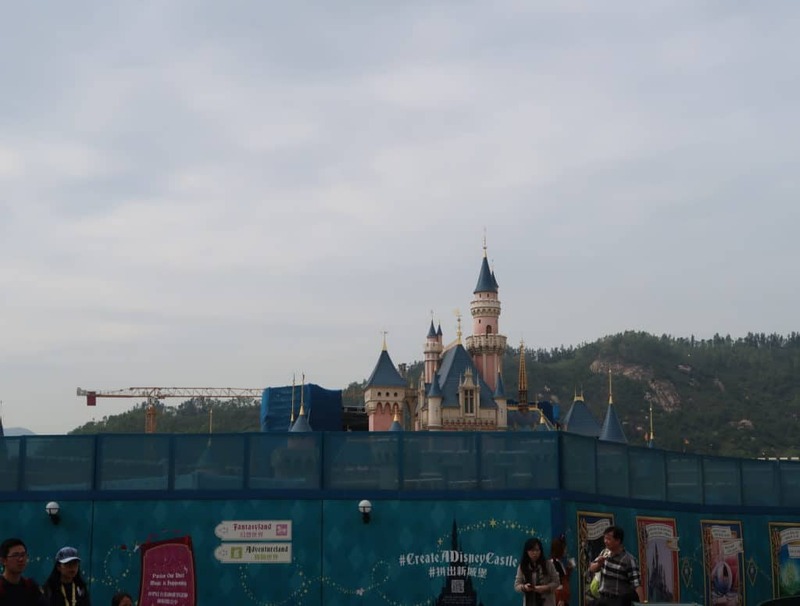 About a year into the castle transformation at Hong Kong Disneyland and we are seeing more and more construction happening. 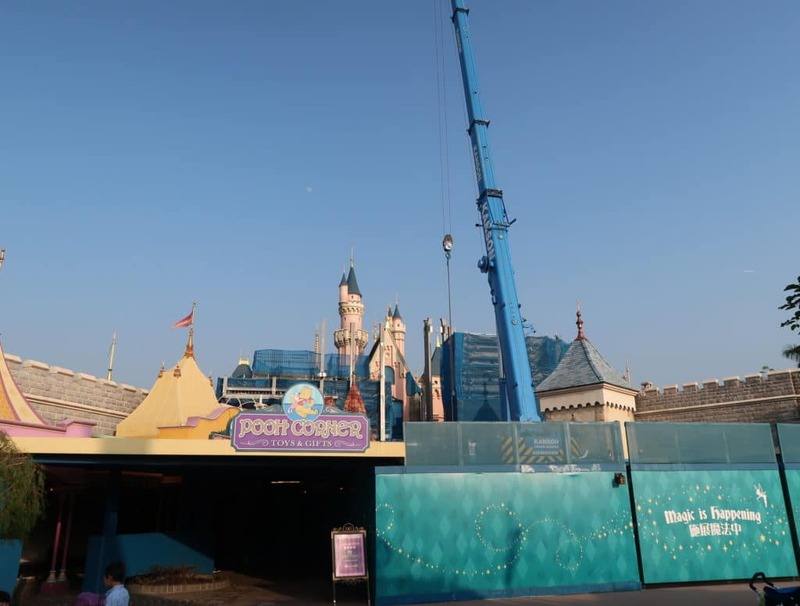 When we were there in November 2018 you could hear construction happening, but in pictures taken by our friend Mickey Kitto on Friday January 18 2019 you can see cranes and scaffolding rising up next to the castle. 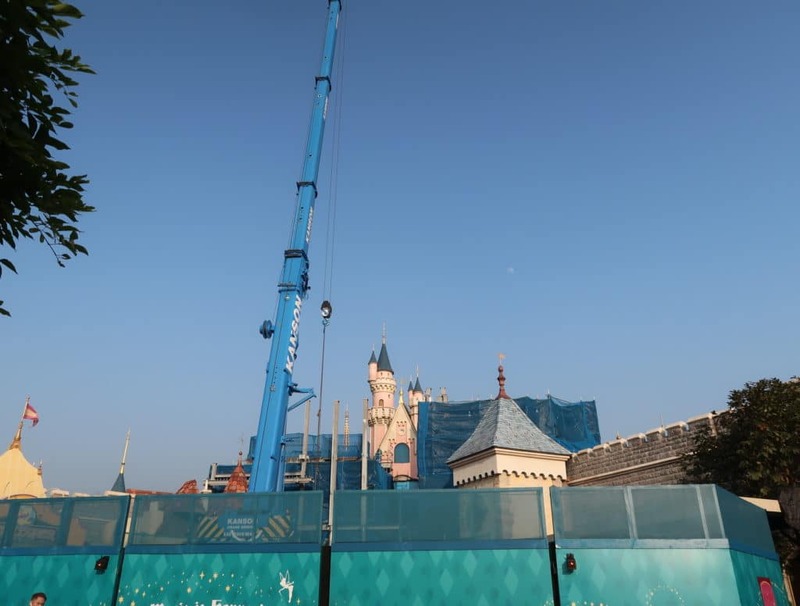 The castle transformation at HKDL is part of a larger transformation of the resort, expanding on the offerings to guests. 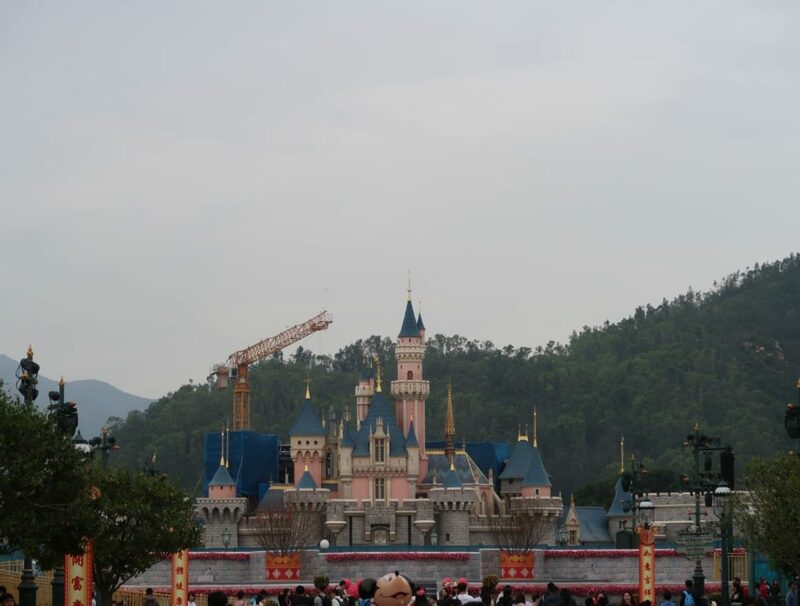 While no exact date has been given, it is thought that the castle transformation will be done somewhere in 2019. Earlier in 2018 concept art was released.